China has long held that owning Taiwan is a core interest of Peking, and that any overt moves to declare independence would trigger an attack to bring Taiwan under control. Less appreciated is that the threat of force holds if Taiwan delays unification indefinitely. Taiwan just stopped making progress toward unification. Taiwan's warmer relations with China were called into question Sunday after the island's Beijing-friendly ruling party suffered its worst-ever polls defeat in local elections, sparking the resignation of Premier Jiang Yi-huah. The rout came as the ruling Kuomintang (KMT) party struggles to combat public fears of China's growing influence, as well as a slowing economy and a string of food scandals. "We hope compatriots across the strait will cherish hard-won fruits of cross-strait relations, and jointly safeguard and continue to push forward peaceful development of cross-strait relations," said Ma Xiaoguang, spokesman for the State Council's Taiwan Affairs Office. Economic problems, fear of reliance on China, and scenes of Chinese repression of democracy protesters in Hong Kong have soured many Taiwanese on the China-friendly policies of the ruling KMT. Elections in 2016 are a long way off, so these "barometer" elections may not hold true when the presidential election comes. This type of Chinese outreach is useful for an Astro-turf "popular" revolt that China can use to justify a rapid invasion and conquest of Taiwan; providing a ready-made puppet government ready to install to thank China for the humanitarian intervention and put a Taiwanese face on the organs of state repression that will follow as China adds a peripheral province to China as a warning to others on the periphery seeking to leave or loosen China's embrace. Why Taiwan doesn't see the need to spend 6-10% of their GDP on defense is a mystery to me. “We should firmly uphold China’s territorial sovereignty, maritime rights and interests and national unity,” Xi told a Communist Party meeting on foreign affairs held on Friday and Saturday, according to excerpts of his speech released by Xinhua on Sunday. While much of that is directed at China's South China Sea and East China Sea claims, that "national unity" stuff certainly applies to Taiwan. Will China really be content to see a Democratic Progressive Party (DPP) victory in 2016 that will openly reveal that the Taiwanese don't want ever closer ties to China, which China interprets as eventual unification? With China unintentionally signalling that voting is important, will China strike before that Taiwanese presidential election can verify the dangerous lesson that votes can change policies? With China and Russia drawing closer, is it out of the realm of possibility that the two could coordinate their aggression to complicate our response and perhaps freeze us in indecision long enough to achieve their objectives? And do they see an opportunity to act before a new administration takes office in Washington, D.C., after our own 2016 election? I'm not really a car guy. I remember noting with some embarrassment how long it took me to open up my car's hood to look at the engine. But when I got an oil change and the guy said he could replace the burned out license plate bulb for only $25, I had to decline. I mean, it's a bulb. That burned out. This isn't exactly an epic battle, but I'd hold my manhood cheaply if I could not do that. After all, I've replaced a headlight bulb and a turn signal bulb. What's the big deal? Sure, the mechanic warned me that the pieces that hold the bulb in place are fragile, but I figured with that warning it was a piece of cake. And I actually had a replacement bulb at home (that was probably manufactured 20 years or more ago). I salute you, standardization. So I went home after the oil change on the last day before temperatures dropped dramatically around here, and set to work. The plastic piece that held the bulb housing in place immediately snapped in two places as I loosened the first screw. So now I had a bulb housing fragment that could not be screwed back into place. On the bright side, the bulb I had fit and worked. Now I had to get the bulb housing fragment to stay in place. Duct taping the piece together failed. Duct taping the bulb piece to the trunk body failed. Then I had a flash of inspiration. I went back inside and retrieved two plastic-wrapped lengths of wire. You know those annoying wires that hold toys to the packaging? Yeah. Those. Never throw them out. I used a longer one to fix a toilet tower when the metal rod that flushes rusted and snapped. It was so thin that it was obviously engineered to fail soon after contact with water. But I was able to wrap this plastic-covered rod into place and the toilet flushes just fine, thank you. Anyway, I wrapped a wire around the bulb housing fragment and then through the left screw hole. Voila! Sadly, I could not loosen the right screw out. But I was able to wrap another wire around the bulb housing fragment, insert the other end between that stuck screw piece and the trunk body, and turn the screw to pull the wire around that piece enough to anchor the right side and have enough pulled through to wrap it around the beginning of the wire! And the whole thing is solidly in place! So I saved $25 and get to pretend that I have some basic car smarts. Not too shabby, I say. Ukraine is expecting a Russian winter offensive in the east. The Russians have been preparing to attack, it is clear, by moving troops and equipment in to reinforce and prepare their local hand puppets. And a winter offensive makes sense as an effort to keep the coming renewal of the war limited to eastern Ukraine's Donbas region. That is, if Russia attacks overtly during the winter months, both Ukraine and NATO Europe which rely on Russian energy to stay warm will find that they cannot oppose the attack too strongly or broadly lest they risk freezing should the Russians cut off energy exports to and through Ukraine. On the other hand, if that is the plan it may mean that Russia is truly seeking a limited victory in the Donbas rather than a more expansive offensive to create a land bridge on the north shore of the Sea of Azov down to Crimea. I'm sure if Ukraine offers just token resistance to the coming Russian offensive, the coal will flow again. Ukraine said on Sunday that a convoy of 106 vehicles had entered its eastern territory from Russia without Kiev's permission and accused Moscow of once again using humanitarian aid shipments to send weapons and ammunition to separatist rebels. This could get ugly and cold before it is over. Ukrainian Prime Minister Arseny Yatseniuk said on Wednesday an accident had occurred at the Zaporizhye nuclear power plant (NPP) in south-east Ukraine and called on the energy minister to hold a news conference. Bad things seem to happen to weak people who oppose Putin. Crimea is "complicated," says the Washington Post. Don't you think that there is any simple thing like Russia violating international law and agreements with Ukraine and the West to conquer a province of Ukraine and annex it to Russia, starting to cleanse the memories of Ukraine's presence there in culture and language! Indeed, it is so complicated that the status of Crimea isn't that it has been conquered by Russia. No, the territory is "disputed" according to the map with the article (sorry, Blogger doesn't seem to recognize the image for upload for some reason). Yes, the issue is so complicated that who is to say who really owns this land? International law and agreements signed by Russia say Ukraine does. But Putin says Russia owns it. So who really knows? Of course, you would never see a map of the West Bank without seeing it labeled "Israeli Occupied" or perhaps just "Occupied," now would you? Now that's a simple conflict to sort out at an editorial desk. Oh well. When that Crimea transition is completed, it will be simple, eh? I'm thinking President Obama has been hanging out with the vice president too much. I've got to know. Did the president sign 6 or only 5 executive orders? 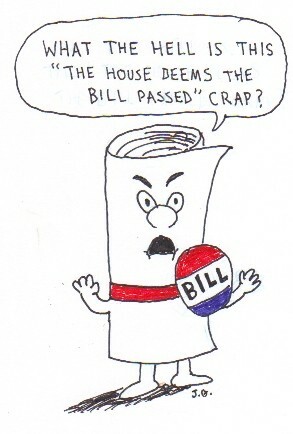 And you thought deeming the Obamacare bill passed was questionable? Wait. The Washington Post fact-checked the skit. Which is fine, because they like totally fact-checked every SNL skit about President Bush and Sarah Palin, right? I've mentioned that getting Sunni Arabs to rise up against ISIL control will be difficult in Iraq and that it will only be safe for them to revolt when Iraqi combat forces are advancing into their areas. In Syria it will be even worse since there aren't even people who remember the last Awakening we had in Iraq when we had 170,000 troops to help them fight al Qaeda. Let's review the difficulties. The Islamic State group is employing multiple tactics to subdue the Sunni Muslim tribes in Syria and Iraq under its rule, wooing some with gifts — everything from cars to feed for their animals — while brutally suppressing those that resist with mass killings. Yes. Uphill, indeed. We simply can't count on uprisings to do the job for our air power (directed by somebody on the ground even if it isn't our uniformed personnel) and our Iraqi and Kurdish ground allies in Iraq. Rebels in the south say they hope the new push will be just enough to pressure Assad to negotiate a peaceful solution to the conflict. Jbawi said the international support for the assault "is not enough to let the rebels win the battle militarily. They are backing (us) to pressure Bashar Assad's regime to bring him to the negotiating table." "Enough to pressure Assad to negotiate!" This level of "pressure" nonsense is straight out of our State Department. It's like these rebels have Marie Harf as their spokesperson. Imagine the rebel ranks in this Southern Front we've created--"Join us and we shall pressure Assad to negotiate some restraint on his powers!" Not exactly, "Then we shall fight in the shade," is it? Is it any wonder that rebels who wish to defeat Assad defect to the jihadis? Rebel uprisings by Sunni Arabs will not be a magic bullet that solves our ISIL problem. Or our Assad or Iran problems, for that matter. Well, at least we don't call them "undocumented combatants:"
I'm sure it is our fault that these terrorists belligerents lack documentation. Perhaps we need to check our privileges. Tip to Instapundit who linked to Hot Air. We said we might put more "activity sets" of heavy armor to allow battalion-sized exercises in Europe, and now it looks like we'll have two more to add to the one we kept in Europe. Hopefully this is a step to having "unit sets" there. Nearly 50 armored vehicles are already in place and another 100 M1 Abrams tanks and Bradley fighting vehicles will be "pre-positioned" in Germany and possibly elsewhere for the US troops conducting drills with NATO partners, Lieutenant General Ben Hodges told AFP in a phone interview from Estonia. The 50 pieces of armor are in an "activity set" already in Europe that supports units who are going to exercise there rather than bringing in their own equipment. We'll have two more activity sets, it seems. That will give us three battalion-sized equipment sets. Add in brigade support units, keep all of it together, and we'll have the first prepositioned unit set, starting us on the process of finally building REFORPOL in eastern NATO. Or do you think Putin has no more territorial ambitions? May you have a lovely ritual animal sacrifice today--with pie! I can't believe there's no video of that. Sorry, I just used my iPod to record it off the screen. Besides Buffy, I always really like Anya. Who was a vengeance demon. Which may explain a lot about my dating history. But perhaps I've shared too much. No Americans were among the hostages – six Yemenis, one Saudi, and one Ethiopian – brought to safety after an intense firefight at the cave in remote eastern Yemen where the hostages were being held. Two dozen American special forces led the raid on Tuesday in support of Yemen's president. I wonder why our support needed to be a direct raid by our special forces people rather than drone strikes or other air support? Who did we rescue, anyway? U.S operation forces took part in a rescue mission that freed eight hostages in a remote corner of Yemen, but a Yemeni official said Wednesday that it did not liberate five others, including an American journalist and a Briton who were moved elsewhere by their al-Qaida captors days before the raid. We'll see what kind of information we obtained from the raid to pursue these guys. Libya remains in a civil war that is accelerating, functioning as a magnet for jihadis. Which is odd considering how we learned so many "lessons" from Iraq. Remember that our Immaculate Intervention in Libya that relied on air power alone was a reaction to the perceived "flaws" of our Iraq intervention. Why we'd trust them to understand the Iraq War let alone draw lessons from the war is a mystery to me. By simply overthrowing the dictator of Libya but keeping our troops out of the occupation business, locals would work out their differences because they'd be unable to rely on us to do it for them; our friends wouldn't be "tainted" by our association with them; and jihadis would have no reason to flock to Libya. Egyptian President Abdel Fattah al-Sisi urged the United States and Europe on Thursday to help the Libyan army in its fight against Islamist militants now to save the country from requiring intervention on the scale of Iraq and Syria. As an interesting aside, bombing missions that Egypt was supposed to have carried out earlier this year were done by Libyan pilots in Egyptian planes. Interesting. The Tripoli government has support from Turkey, Sudan and Qatar while the Tobruk government has most of the world recognizing it, along with most of the Islamic world. This is especially true with neighboring Egypt and most of the Arab oil states. It is interesting that we are finally getting to that civil war scenario of a divided Libya. Well, I supposed it is someone else's turn to exercise that whole Responsibility to Protect (R2P) notion that led us to overthrow Khadaffi in the first place. I guess our post-war plan wasn't as good as I assumed it would be. The Pentagon is again complaining that sequestration will cripple the military, especially the lack of flexibility in spending what is appropriated. Let's start with that partial solution, shall we? Sequestration would literally render it impossible for us to execute the defense strategy that President Obama signed out in 2012. It takes another $500 billion over 10 years out of our budget. We already had signed up to $487 billion, so it's another $500 billion on top of that. But worse, it requires -- it would require -- because of the lack of flexibility that you have to deal with it, it would require drastic cuts, mostly in readiness accounts. And so you're -- you would be, through sequestration, literally making it impossible for the military, each of the services, to do that which they are required to do to execute the -- the strategy. I'm somewhat skeptical that sequestration is really the cause of defense funding problems. I suspect that without sequestration, defense spending would have taken a hit anyway as a responsibly ending our wars peace dividend. The main problem other than the inflexibility problem to cope with readiness issues is that we need additional funding for war expenses rather than hanging on to those happy assumptions of 2012 about responsibly ending our wars, which are proven to be false. 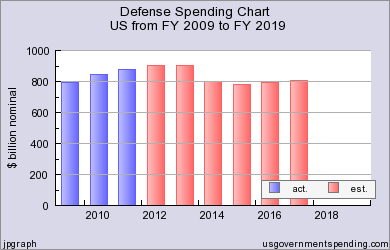 So for the main defense budget, I really don't think sequestration is as bad as it is said to be (you really think defense wouldn't have taken a hit without that law?). The rest of government survived and defense can, too. But additional funding for being ordered into action again is absolutely needed on top of the money to support the defense infrastructure. Before 2014 no M1s had been destroyed by enemy action, but that was in large part because they were used by well-trained crews and commanders. Yes, our M-1s are better than the Iraqi M-1s. But even our M-1s are not invulnerable from the non-frontal arc. The key is good training and using them properly. The history of battle losses of the Abrams bears this out. In 2003, if we'd traded our M-1s for Saddam's T-72s, the outcome of the war would have been the same, with only our casualties a little higher. So let's start with giving the military flexibility to use the money they have more wisely. I wish AUSA, which published my paper, would put the older stuff online. Lord knows how long that server will last. And it is no longer available used from Amazon. Communists organize protests to exploit the Ferguson incident and refusal of a grand jury to indict the police officer; while a world away, communist forces suppress real demonstrations for democracy. Hong Kong riot police arrested 80 pro-democracy protesters on Tuesday in running clashes after several thousand demonstrators erected street barricades following clearance of part of a protest hotspot. Several thousand police were deployed after a court ordered the reopening of a blocked street in the working-class district of Mong Kok, scene of some of the most violent confrontations in the two-month long "Occupy Central" civil disobedience campaign. I wonder if Chinese authorities acted knowing so much attention will be on Ferguson? Hong Kong police on Wednesday cleared one of the largest protest sites that has choked the city for months, arresting scores of pro-democracy activists in what could be a turning point in the fight to wrest greater political freedom from Beijing's control. Good. Perhaps the need to send our troops back into Iraq to reverse the result of leaving too early has finally seeped into the discussion of leaving Afghanistan too early. Now he just has to change 2016 and the ending of direct support for Afghanistan that year. And to think this was once the "good war" for our left. Secretary of Defense Hagel has been fired resigned. I wasn't happy with his selection since I figured his role was to be a nominal Republican to gut the defense department for the president. Just when I started to think that actual wars were pushing Hagel to buck this president and back his department, he gets canned. I'm not sorry he's going. But the problem of having the same boss to hire the next defense secretary remains. And then there is that embarrassment of a Secretary of State we still have. UPDATE: Well yeah, the boss is the same so why would a Hagel replacement he hires make things better? Firing Hagel, however justified, is of little consequence compared with the policy overhaul that Obama needs to institute. The Senate in January may need to start reducing the "consent" angle while emphasizing the "advise" part of their "advise and consent" role in presidential appointments. Hagel is gone. The Islamic State, however, remains. The Islamic State will have to be convinced it's a junior varsity. Vladimir Putin is a big-league player; he persists in waging an imperial war in Eastern Ukraine. China probes its Southeast Asian maritime border. Iran's quest for nuclear weapons continues. Syria bleeds. Libya fragments. North Korea builds ICBM's. Unless backed by demonstrated capabilities and the demonstrated will to act, dramatic gestures and words in the Washington Beltway do not affect these circumstances a whit. Do any of these actors think a better Secretary of Defense will change our leadership's direction to constrain them? Or do they think that they have two more years to make gains before a new president makes it too risky to challenge us? Taiwan has a nice opportunity to embarrass the Peking government about democracy. Travel subsidies are a likely more effective tool for Beijing. Chinese airlines now offer heavily discounted tickets for Taiwanese expats to return from China to vote. Among more than 1 million Taiwanese living and working in China, analysts estimate that 210,000 did so in 2012. Most were business people who support the KMT, say observers. Now, with Nov. 29 around the corner, the travel deals are back. Airfares between China and Taiwan for the week before the poll are discounted by as much as 50 percent, says Joseph Wu, secretary-general of the Democratic Progressive Party (DPP). Mr. Wu points out that since most of these airlines are state-run, the cheap tickets are essentially Chinese government subsidies for Taiwanese to support the KMT. Taiwan should broadcast their sincerest thanks to China for their help in allowing Taiwanese citizens to exercise their freedom to vote. Imagine the messsage the Chinese people would get: who governs in Taiwan is important to China; and who governs in Taiwan is decided by Taiwanese people. And perhaps announce that Taiwan will return the favor for Chinese living in Taiwan if they wish to vote in Chinese elections. Of course, even if Taiwan doesn't do this, every Chinese citizen on the mainland who knows those Taiwanese living in China will know that they are going home to vote. Perhaps these Chinese friends and acquaintances will come to understand the importance of freedom to Taiwanese--and to those who live in Hong Kong for that matter--and wonder what it would be like to be free and choose their own rulers. And wonder why China's government helps Taiwanese to vote for their leaders but does not allow Chinese the same right. Interviewed Sunday on ABC’s "This Week With George Stephanopoulos," Obama acknowledged as much, likening himself politically to a used car that’s been dinged up over the years. "I think the American people, you know, they're going to want – you know, that new car smell. You know, their own – they want to drive something off the lot that doesn't have as much mileage as me," he said. It's not that the president himself is like a used car. It's that President Barack Obama is like a used car salesman and nobody wants what he is selling these days. Face it, the issue is that the president's policies stink. It's beyond BO. It's BBO. Given the president's amnesty, why wouldn't the Republican-controlled Congress make their first legislative proposal on this issue one that purely focuses on border security (quoting Ed Morrissey) rather than one that tries to de-fund or block the amnesty? After all, will the president actually deny that securing the border is important? When he's already addressed the illegals already here? And given that Republicans often say that border security must come before legalization and naturalization, this fits their claims of proper order; and can be supported by saying action is urgent given that the president jumped the gun (after doing nothing for his Bible-inspired order for the last 6 years). The funding issue of the president's executive action can be done later for the next FY budget. And somebody else can sue over the issue, no? And other responses like blocking nominations can simply be done quietly without raising a stink over why the committees have higher priority things to do. Don't give the president ammunition to claim victim status. With border security put in place by legislation, actual negotiations over legislation to replace the president's amnesty orders--as he invited--can happen. Or will the president really want to go to court to defend his unilateral orders? The A-10 Doesn't Fit the Strategy? That's the Problem! This defense of retiring the A-10 is total BS. Yes, providing ground support requires air superiority. Thank you Captains Obvious. The idea that nobody would want an A-10 to face in combat a new Chinese J-31 some time in the distant future is just as obviously dumb. I wouldn't want an A-10 to face a MiG-21. The A-10 is not--to state the obvious--a fighter plane. But are these authors really telling me that the only way to field the F-35 as an air superiority fighter is to retire the A-10? And they are telling me that in the Air Force strategy that focuses on that air superiority mission that the Air Force will decide where, when, and if the Army gets air support from those F-35s? And by the way, the Air Force isn't happy about the Army having armed drones, too. Thanks so much. The very fact that the Air Force doesn't even see a mission for the A-10 worth paying for is the real problem. Sorry. I get a little emotional--as the authors accuse A-10 defenders of succumbing to--about the Army getting left on its own while the Air Force plans to fight its own battle high above the mud and sand. UPDATE (prior to publication): This author thinks even less of the cited article. Why Didn't Our Military Act Like We Were At War? I still have no satisfactory answers to my main unanswered question regarding the 11 SEP 12 Benghazi attacks. The latest Congressional report does not settle that question of why our military did not react as if it was on a war footing once the enemy attack started and when we had no idea how long the crisis would last. I hope that I have built up a reputation for sober analysis here. I believe I am not reflexively anti-Obama. I've backed the president if I think he is right--as in the current approach to ISIL in Iraq despite widespread conservative criticism. And I haven't gone in for the rumors and conspiracies of the Benghazi incident, figuring conclusions required investigation. The latest Congressional report does not address my concerns despite some press reports that it ends the discussion. The latest Congressional report out by the House Intelligence Committee does not actually state anywhere in it that there was "no missed opportunity for a military rescue" at Benghazi, as this AP article states. My concerns over the security and military aspects of the attack are still not fully answered. We failed in the first decision point. Our facilities fell. Obviously we decided poorly. But mistakes happen in war. Stuff happens. We should learn from that. We did send paramilitary forces to the consulate at the second decision point. That attack was over too quickly to respond to with effective force given the failures of the first decision point (which would have been a series of decision over many months, of course). But those guys "went to the sound of the guns." I commend them. But for them, this could have been much worse. We still have not struck back (although we managed to capture some guys not too long ago) against anyone who took part in the attack, so the fourth decision point is still a failure more than two years later. A failure beyond parody, actually, at the highest levels. My focus has long been on the third failure point: we did not send forces to intervene in the battle despite having a large military presence in Europe. This is not to say that we could have rescued the people who took refuge in the annex. The claim that we did not miss an opportunity for a military rescue is surely accurate but relies completely on knowing the outcome and duration of the crisis, and calculating that we could not have gotten earmarked forces there in time to help. That misses my point. While the crisis was raging, we did not know how long the crisis would last and so could not know if sending forces would be futile. We didn't even try to send our military. Why? The rescue wording in that AP report was so oddly narrow that I had to see the report. A CNN story that I found second did not repeat the "no missed opportunity" claim. That's odd. But it had a link to the actual report. The executive summary of the report did not claim there was no missed opportunity for a military rescue. This review did not set out to assess the Defense Department's activities during the attacks. The House Armed Services Committee report, however, thoroughly addresses the military response to the Benghazi attacks. Investigators for the Republican majority on a House Armed Services subcommittee tell Fox News they have tentatively determined no military response or rescue plan could have worked in Benghazi because U.S. assets were so poorly postured around the globe that night. If by "assets" you mean only special forces, embassy security forces supplied by the Marines, and Air Force airlift, I can buy that narrow determination. But that doesn't mean that no military response or rescue plan could have worked. You are asking me to believe that with tens of thousands of troops in Europe, we couldn't scrape together an initial platoon of Air Force base security troops, Army MPs or infantry, or anything else for rapid deployment? With the remainder of a company ordered to follow on as soon as possible? You are asking me to believe that we had nothing that could lift 50 troops to Benghazi? I know Air Force airlift is heavily committed. But there were no VIP transport planes sitting around? Nothing at all? And if there really were zero aircraft that could have carried troops despite their official designation, that nobody had any phone numbers for private airlines to provide a transport plane in an emergency? That possibility never occurred to anyone in our European Command or Africa Command in an age when the Air Force air transport is so heavily committed that we routinely use private contractors for transport and even refueling? It is possible--perhaps even likely for all I know--that no military response or rescue plan could have worked. But we couldn't know that at the time. We simply couldn't know that we had 7 hours to get to our people on the ground or that it was already over and so too late to do anything. But apparently we couldn't even get a platoon-sized base reaction force into the air to reach Benghazi in a few hours with the balance of a company following an hour or two later--with a battalion gathering as that was done. Perhaps the platoon would have reached Benghazi and found it was too late to do anything. But maybe they would have gotten on the ground in time to reinforce the few security people holding out at the CIA compound (the "annex"). Or maybe they would have been able to engage the attackers who assaulted the diplomatic compound where our ambassador was killed. Maybe we could have at least secured the facility and prevented looting and pictures of enemies standing on our ground. Maybe, even if too late to send into action, such a response would have sent a message to future terrorists that they have limited time to cause mayhem. Perhaps that kind of resolve to react with whatever we have would have meant that embassy security people would have to hold out only for a limited time before attackers withdraw from fear of a response. So fine. This latest report refutes a number of claims, such as the rumor that the annex was involved in sending arms to Syrian rebels. That's fine. I'm glad they settled that. But I still haven't been satisfied that our military acted as if we are a nation at war when our facilities were attacked--by rushing to the sound of the guns with what we had available in the hope that we might be able to affect the outcome that was still unknown. But the party line during a presidential election year was that our wars were responsibly ended and that al Qaeda was on the run. I suspect that notion infected the military chain of command so much that our military didn't react to the attack like we were (and are) at war. Yes, big-ticket Western weapons for Ukraine aren't smart. But not because it might provoke Russia. They're pre-provoked and perfectly willing to lie, anyway. Why [is sending Western weapons to Ukraine a mistake]? Most important, they would make real the myth that Russia is responding to NATO aggression in Ukraine. Nothing is more likely to raise support in Russia for going to war in Ukraine -- at the moment, it's just 13 percent -- than footage of U.S. weapons killing Russians on the border. As he does note, that is a mistake because it would take too long to integrate Western weapons systems to replace their old Soviet-designed stuff any time in the next several decades (Egypt is still switching over nearly forty years after "flipping" from the USSR to us). But while it may not be smart to go down that path, the idea that making Ukraine a harder target for Russian aggression would provoke Russia to expand their aggression is plain dumb. Don't make eye contact with Putin and the crazy man will go away on his own? Really? We need to make Ukraine a bleeding ulcer for Putin if he persists in taking and holding Ukrainian territory. If Ukrainians have the stones to resist, we should help them. How much restraint in arming our enemies did the Soviets exercise during the Vietnam War? Hmm? And we armed resistance to the USSR's invasion of Afghanistan. We should be more afraid of Russia now? As I've written repeatedly, selling big items to Ukraine is pointless. They have lots of heavy weapons if it can be maintained. It can even be modernized. Our new NATO allies in the east with their history of Soviet-designed weapons can help. And since Ukraine has a history of using these types of weapons, there won't be a problem in getting them into combat with troops who know how to use them. Our aid is best kept to financing that help and providing niche gear for infantry and communications. And intelligence, advice, and training. I'd also help with anti-ship missiles and naval mines so Ukraine can threaten Russia's shiny base at conquered Sevastopol. Would our longer range (300 kilometer) ATACMS work in that role? Could be. Heck, I still think that France should complete the sale of the Mistral's to Russia but send Exocets to Ukraine (and anybody else in the former Soviet Union with a coast) with instructions on where to aim the missiles for the most lethal effect on the hull of those French-built amphibious warfare ships. But the notion that sending aid to Ukraine will allow the Russians to use footage of American weapons killing Russians would not only require the Russians to admit they are in Ukraine (and perhaps admit that body bags are coming home), but would require you to believe Russia isn't already complaining about the NATO threat and believe Russia isn't capable of fabricating Western aid, as they did in their Georgia invasion. Or is that Russian fabrication of footage of a Ukrainian fighter shooting down that Malaysian airliner over secessionist territory some odd exception that proves the rule? Russia already has American equipment taken in the Russo-Georgian War of 2008 to haul out for tame reporters. This is what Putin does. And the idea that since Ukraine isn't perfect they don't deserve our help ignores the fact that Russia is worse, Ukraine at least aspires to join the West, and regardless of Ukraine's conduct the Russian invasion violates international law and Russian promises, and should be resisted on that ground alone. Stop worrying about angering the Russians and whether the Ukrainians are perfect. Focus on stopping Putin. In an effort to get a nuclear deal with Iran, I've long held that the outline of a deal is clear: Iran will pretend not to be working on a nuclear weapon; and we will pretend to believe them. We've opened up the floor for discussions on how to pretend. Officially, the United States and its Western allies say it is vital that Iran fully addresses the concerns of the U.N. nuclear agency if it wants a diplomatic settlement that would end sanctions severely hurting its oil-based economy. "Iran’s previous activities have to come to light and be explained," a senior Western diplomat said. Privately, however, some officials acknowledge that Iran would probably never admit to what they believe it was guilty of: covertly working in the past to develop the means and expertise needed to build a nuclear-armed missile. See? We're willing to pretend that Iran isn't even seeking nuclear weapons. Just in time for the Monday "deadline" for a final agreement. Which means we won't have leverage to complain that the mullahs are seeking nuclear weapons contrary to an agreement. And which also means that Iran can portray themselves as an innocent victim of Western aggression that suffered under sanctions for no good reason other than to starve poor Moslem children. Once we start pretending, what's the limit? I'm sure that we will then pretend the deal worked right up until Iran tests a nuclear weapon (perhaps first in North Korea) and announces that it has already deployed a half dozen weapons of the same design. And we'll pretend Iran's nuclear status really doesn't matter. Hell, Secretary of State Kerry will even continue to pretend that he earned the resulting Nobel Peace Prize over that deal that he'll spend the rest of his life polishing and photographing. And our president will pretend that this deal is why he got his own back in 2009. Have a super sparkly day. If you can pretend all is well, that is. Iran and six world powers looked set to miss Monday's deadline for resolving a 12-year stand-off over Tehran's nuclear ambitions and are already looking at a possible extension of the negotiations. We set a deadline for Iran to meet our concerns. They failed to meet our demands. Unless our diplomats are unclear on what "deadline" means (And they may, since I lost track of what deadline Monday represents. Fourth? Seventh? ), the proper response is to pack up our stuff, give them our phone number, come home, begin discussing further sanctions, and otherwise prepare for the military option that we insist is on the table. If we don't do those things, why would Iran ever take us seriously? Which is a question that answers itself, I suppose. "We have had to conclude it is not possible to get to an agreement by the deadline that was set for today and therefore we will extend the JPOA to June 30, 2015," British Foreign Secretary Philip Hammond told reporters at the end of the talks. Sheer idiocy. Every time we fail to act as if a deadline is a line at which the negotiations die, the Iranians learn that we value talking more than results. I suppose that I should be grateful that we didn't go to a higher degree of idiocy by concluding a deal by the deadline that conforms to my expectations that any agreement will consist of Iran pretending to stop nuclear weapons programs while we pretend to believe them. As long as we talk, Iran makes progress toward getting a nuclear weapon. Worse, even if our president is serious that "all options are on the table"--that oblique vow to use force if Iran won't agree to terms that end their nuclear threat--by making Iran contemptuous of that vow, we increase the chance that we actually will have to resort to war to keep Iran from going nuclear. Or make sure the Israelis strike. Researchers have made a surprising discovery in Tibet, unearthing an ancient canyon buried deep under sediment along the Yarlung Tsangpo River in the southern part of the country. The canyon is thousands of feet deep in some places and is believed to have been carved by a river three million to seven million years ago. The land reclamation project was China's fourth in the Spratly Islands in the last 12 to 18 months and by far the largest, IHS Jane's said. It based its findings on images taken on Aug. 8 and Nov. 14 showing that dredgers had created a land mass almost the entire length of the reef. It said Fiery Cross Reef was previously under water with its only habitable area a concrete platform built by China's navy. It said that structure was home to a Chinese garrison and had a pier, air-defense guns, anti-frogmen defenses, communications equipment, and a greenhouse. The Great Landfill of China would be just the construction project to keep employment going, eh? Ukraine's prime minister recently stated that his job was to build a military that could stop Russia. What are the building blocks? Main battle tanks: 2,988 (10 T-84, 167 T-80, 1,032 T-72, 1,667 T-64, 112 T-55). Recon: 600+ BRDM-2 armored cars. Infantry fighting vehicles: 3,028 (60 BMD-1, 78 BMD-2, 994 BMP-1, 1,434 BMP-2, 4 BMP-3, 458 BRM-1K). Armored personnel carriers: 1,432 (44 BTR-D tracked; 10 BTR-4, 136 BTR-60, 857 BTR-70, 395 BTR-80 wheeled). Artillery :3,351 (600 2S1, 527 2S19, 463 2S3, 24 2S5, 99 2S7 (self-propelled); 371 D-30, 2 M-30, 287 2A36, 185 2A65, 215 D-20, and 7 ML-70 (towed). Multiple rocket launchers: 554 (20 9P140, 315 BM-21, 2 BM-13, 137 9P140, 80 9A52). Large Mortars: 437 (318 2S12, 119 PM-38). Anti-tank: 500 100mm ATG plus AT-4, AT-5, and AT-6 ATGM. Transport helicopters: 77 mostly Mi-8 (army, air force, and navy). Plus some in border guard. Transport aircraft: 62 (air force and navy). Plus some in border guard. Anti-aircraft:1,261 SAM of various types (army and air force) and 470 guns, mostly towed 57mm. Surface-to-surface missiles: 212 (50 FROG, 90 SS-21, 72 Scud-B). Combat aircraft: 234 (126 MiG-29, 36 Su-27, 36 Su-24, 36 Su-25). I've left out naval craft. Aside from losses in the above inventory in the war so far, the navy was decimated by the Crimea campaign and wasn't terribly relevant before that. Russia's military power is far greater than Ukraine's. I won't bother listing out their assets. My point in the hardware listing isn't to imply that this represents military power. It just allows well-trained, well-supplied, and well-led troops to maximize their combat capabilities. My point is that Ukraine has the building blocks of equipping their military with big ticket items. We don't need to ship major weapons to Ukraine. That would take too long to re-equip and re-train the Ukrainian army. And they have plenty of existing stuff that is adequate to face the Russians. Ukraine needs to repair and upgrade what they have, which our new NATO members who are shedding old Soviet equipment can help upgrade and maintain. Our help should be in training, command and control, logistics, intelligence, and recon capabilities. Weapons should be limited to filling capability gaps--like anti-ship missiles, naval mines, and more longer-range precision surface-to-surface missiles (like the SCUD-B--which given Ukraine's armaments industry in this field they should be able to build on their own, right?) than Ukraine possesses to threaten Sevastopol naval base--and equipment (which could include personal and crew-served weapons) to make their special forces, infantry, and paramilitary infantry more capable. Since landmines seem to be out of fashion, we should make sure that Ukrainian combat engineering capabilities are good to build obstacles to slow a mechanized advance. We could help with all this. It seems the new Congress wants to help more than the Obama administrations appears to be doing (although there could be quiet help taking place, I don't know), but I agree with the Obama administration that big-ticket weapons systems aren't appropriate. Perhaps Congress could pass a new Lend-Lease Act to coordinate Western actions to rebuild Ukraine's military to create a good active force and an effective reserve structure. More significant than hardware and troops in the long run, Ukraine is handicapped by demographics and economics where Russia has a population of 139 million by the same source and a GDP of $1.84 trillion, with a per capita of $13,270. While building an army that can stop Russia is important, it requires a Ukrainian economic base to do so. If Ukraine can combat lack of rule of law and move toward the West, achieving even a per capita GDP of Poland ($13,435) which has a head start on Ukraine--or even Russia--Ukraine could have a GDP of $604 billion. Now we're talking a real economic base to hold off Russia. Achieve just the European Union average of about $34,000, and Ukraine's GDP could be $1.5 trillion. Do that and Crimea and Donbas will beg to rejoin Ukraine. Those are big "ifs" and will take time, but Ukraine's position is hardly hopeless. Ukraine needs to get to the point where they can inflict casualties so heavy on the Russians that a Moscow victory isn't worth achieving before they can aspire to defeating the new Reddish Army. Russia said on Thursday the United States would violate international agreements and destabilize the situation if it supplies weapons to Ukrainian forces fighting separatists in the country's east. Yeah, Russia invades Ukraine contrary to international law and agreements--while denying their involvement--and when a new democracy wants to defend their independence from Russian colonial rule, our help is the problem that is destabilizing the situation. Even as Russia provides the arms and diplomatic support to allow Assad of Syria to slaughter his way to retaining power. Good grief, man! You invaded Ukraine! That is why the West is imposing sanctions! Come on, get a friggin' clue! The truth is, if Russia didn't act aggressively, we wouldn't care one bit about them. Which probably hurts more than anything, really. If we really are out to get them, we think they are important. So the truth hurts--we'd rather pivot to Asia and the Pacific and keep Atlantic Europe quiet. And our attention is just a reaction to them and not some bigger plan. Russia's rulers are crushing the post-Cold War hopes and sympathy of the West that Russia was a victim of communism as much as we were, and could move on from that horrible past to join the West as a free and prosperous democracy. Which means that should China decide that large chunks of Russian land in the Far East are a core interest in China, Russia will have far less ability to call on the West for help or even much sympathy when they might want help from us to avoid loss of territory and loss of independence as Ukraine seeks today. "When Russia starts... safeguarding people and its interests, it immediately becomes bad (in the view of the West), he said. "You think it's over our position over east Ukraine or Crimea? Absolutely not! If it wasn't for that, they would have found a different reason. It has always been like that." Good grief. Of course relations are bad because Russia has attacked Ukraine. It's not so much that Russia has invaded Ukraine. I mean, what do you expect from Putin? He isn't a lion-lying-down-with-lambs kind of man. It's that he denies he is even doing anything wrong--or doing anything at all, really. Back when my finances were pretty tight, I sent a small check to Russia to help after the Beslin Massacre. I can't imagine even caring with Putin in power. It looks like the Kurds will deny ISIL a victory at Kobani. Will the Turks help turn it into a significant ISIL defeat? Allen [Note: the retired US Marine general who is the "envoy" of the anti-ISIL coalition] said the air attacks have killed "well over 600" IS fighters — a casualty figure believed to be the group's biggest losses in Syria or Iraq. We shouldn't just want ISIL to pull out. We should want to annihilate them. Waterloo is a poor analogy for this battle. Waterloo was a last-gasp attempt by Napoleon to retrieve defeat. It was hardly his high water mark. As I've noted, this could be ISIL's Stalingrad--the high water mark of the German invasion of the USSR in World War II. That's a far better potential analogy. And one with a second part after the Germans failed to take all of that city. If the Turks use their mechanized forces to drive into Syria to cut off the jihadi forces focused on an image battle for Kobani, the Turks could replicate the Russian offensive around Stalingrad, a city which Hitler viewed as a decisive objective that he had to conquer for his image. In a war where we worry about jihadis scattering to live and fight among civilian shields, cutting off the jihadis close to Turkey with Kurds holding the core and Turks holding the outer ring, this could be a hammer and anvil operation that turns into a battle of ISIL annihilation under an umbrella of Coalition air power. Arab states probably didn't mind that President Obama has tried to push Israel around, notwithstanding that country's status as our friend and ally. Where did they think their status ranked them, anyway? The White House and others, the member says, are already thinking about problems a deal might create. ”We know they’re going to be enriching, so how do you square that with Saudi Arabia and other places?” asks the lawmaker, who emphasized that he was personally uncertain whether a deal would come to fruition soon. And if Saudi Arabia is feeling like the friendship is fraying, others in the Arab world will easily think we are abandoning them. They should have known better. When the Jews are targeted, they are generally just the first target. And the Smart Diplomacy rolls along. This testimony on the prospect of war is interesting (tip to Instapundit), but for this post I want to highlight a portion about China's economic development that amounts to playing with fire. Mass urbanization is a revolutionary process that involves great cultural and social change. In China alone, urbanization has been a driving force behind the lifting of hundreds of millions of people out of extreme poverty, but urbanization has lifted them at the same time into a new political consciousness and is creating new sources of tension within China and, consequentially, in the region around it. Various societies are reacting to mass urbanization in different ways, and they are at different stages in the process. China is in the climactic phases of a dramatic shift while India is still at a relatively early stage with massive movements to the city still to come. India could experience tremendous growth as China has if it seriously urbanizes. But at least India has democracy to cope with rising demands of urbanized people. But what of China, which has abandoned communist economics while keeping Chinese Communist Party monopoly on power? What will be the result of this urbanization? I wonder if China's Maoist tradition of a peasant-based Communist revolution really appreciates the problem of urban residents for the stability of the state? Marx viewed urban workers as the natural source of a Communist revolution. He thought Russia wasn't fertile ground for a revolution. Lord knows what he'd have thought of China. Lenin brought the communist revolution to Russia by making his forces the vanguard of the proletariat that was still too small to erupt in revolution. Mao bypassed the whole urban-based revolution to go to what China had lots of--peasants from the rural areas. And now China is urbanizing on purpose? And aging, too, making problems of economic growth more acute? I know the new and larger cities are supposed to encourage a transition from manufacturing to higher end manufacturing and consumer spending--China's growth can't continue at this rate without such a transition--but doesn't this run the risk of creating the fertile ground for unrest and revolution if growth isn't achieved? And given that increasing material growth a bit just leads to a desire for more--and for political gains, too--isn't China's policy just a Trojan Horse for revolution? I don't assume President Obama will announce "lawless" changes to our immigration policy tonight. The changes may run contrary to the spirit of the election, but that's the way politics work--you use your power until you don't have it. But I suspect that the president will stay within the lines in his executive order. Really, it is more shocking to ponder how much authority Congress grants to the executive to write administrative law to carry out statutory language. That's why the Obamacare rules are so much longer than the already-large law. Congress will need to start explicitly denying executive agencies the authority to promulgate rules to carry out laws or severely restrict their authority. And perhaps start changing existing authority. Rules can be a valuable tool for Congress to give the executive branch to avoid putting needlessly technical language into statutes. But given how legislation itself has grown to monstrous size, along with the staffs to write that language, we're way past the time when Congress couldn't just draft the laws themselves to provide the details that conform to what Congress actually intends. UPDATE: The president's decision seems rather ... large. I'll wait for better analysis than the initial reactions. A calm but firm response may be in order that rejects the action but denies the president the victim card the way President Clinton played the opposition. Besides, right now I'm more worried that the president will grant amnesty to Iran's nuclear ambitions. UPDATE: And let me add that if a Republican president had justified sweeping government policy on scripture (setting aside the dubious relevancy of the quotes), the Left would be screaming about Christianist theocracy taking hold in America. But everyone knows that the Biblical quotes are just a thin veneer over political posturing, so there are no complaints from the left side of the aisle. UPDATE: This seems about right. Tip to Instapundit. And initial legal thoughts. Limits were considered and set. The author will have more by this weekend. Also tip to Instapundit. I have no idea if the limits accepted --expansive as they seem to be--in the president's action would pass court review. Nor do I know if it will even get to a review if Congress and the president come to an agreement for legislative action. UPDATE: Although there is one former "law professor" on record against such actions, in general. Perhaps the problem is that the former community organizer likes the idea. What's next? Will the people see the big board? Videos from college conferences and Washington think tanks over the last few years show Gruber bragging about the law’s deliberate complexity and belittling American voters’ intelligence. Now at least two colleges who hosted the professor have tried to scrub Gruber from the internet. The University of Pennsylvania removed Gruber’s October 2013 panel appearance — in which he laughed about “the stupidity of the American voter” — on November 10, but quickly reposted the video after withering criticism. You can't challenge conventional wisdom in here! This is higher education! UPDATE: The deceptions from government are surely common. That's why I think the basic solution is to shrink federal government authority rather than futilely try to keep it from abusing authority. The net effect of this was that the administration could make claims that were impossible to effectively refute in debate, because doing so required voters to follow lengthy technical discussions, and the readers had whole lives to live and didn't have time to master the arcane art of CBO budget rules. So politicians gamed the CBO process, and then wielded the numbers as a weapon against critics. Many journalists also used the CBO score pretty uncritically, because that was a lot easier than walking readers through an abstruse argument. So stuff got done that couldn't survive public scrutiny, and highly contestable "facts" about things like deficit reduction entered the media stream. Jonathan Gruber comes along and tells us that this was deliberate, which was obvious to anyone who was paying attention, but not actually much remarked upon in many quarters. That politicians should try to exploit the accounting rules was inevitable; that is what people do with accounting rules. I'm not saying that's what the rules are for, or that they do no good; I'm just saying that about eight seconds after your rules are made, some bright Johnny will start figuring out a way to game them. What is not inevitable is that journalists should effectively sanction this by saying it's no big deal. We don't have to get elected, after all. And those politicians and policy makers aren't our bosses; the reading public is. We shouldn't act like we're part of the insider clique that decides what other people need to know -- no, worse, that decides what other people do know. If we knew this all along and voters didn't, that doesn't mean voters don't have a right to be outraged. It means that we've lost track of whose side we're on. That's what frustrated me so much. The complete failure of our media class to explain what is happening. Which is supposed to be their job. Obamacare's defenders, for example, would insist that the law reduced the deficit, yet the press never called them on this obvious deceit that relied on new taxes and assumed a full decade's worth of taxes while counting law expenses for just a little over half of that time period since the law didn't go into effect for many years (except for the taxes, which were immediate). We'll see if the press does any better on immigration "reform." I suspect that they've just learned to stop worrying and love the Obama. UPDATE: Oopsy. Bad stats. Not a lot. But still worrisome. The errors never go the other way, eh? And I've heard elsewhere that perhaps most of those actually signed up went to an existing program--Medicaid. Yet we were told that 40 million people were denied insurance pre-Obamacare. Let's imagine it is 2015 already and two people are looking for work. Matt Taylor updates his resume' to include "Part of team that landed a robotic spacecraft on a comet." Rose Eveleth updates her resume' to include "Drove a rocket scientist to tearfully apologize on TV because I didn't like his shirt." Say, does everyone--not just feminists--get to play that game? With Ms. Eveleth's attire, perhaps? I'm tempted to agree that this whole episode reflects on the evolution of modern feminism to being "appalling stupidity backed by hysterical rage." But that would be wrong. I think it is the opposite: hysterical rage backed by appalling stupidity. Who isn't in support of women's equality under the law this side of ISIL-occupied Syria? But that was old feminism. Now we have modern feminism that takes nonsensical stands that make them function as the Women's Auxiliary of the Democratic Party while ignoring actual wars on women lest it benefit Republicans. On Wednesday, Mr Shoigu said "long-range aviation units" would fly along the borders of the Russian Federation and over the waters of the Arctic Ocean. He added: "Under the prevailing circumstances we need to ensure a military presence in the western Atlantic and eastern Pacific oceans, the waters of the Caribbean basin and the Gulf of Mexico." Enjoy your flight. We know you have a choice in flying locations, and appreciate that you've chosen America. The Russians will get support from those Axis of El Vil members Cuba, Venezuela, and Nicaragua. This provides no real benefit to Russia, is legal if done in international air space, and just gives our air defense systems something to do outside of exercises. Heck, maybe we'll tighten up a bit, in response. Asked at a Washington conference why Americans should expect the latest US intervention in Iraq to go better this time, Dempsey said "we think we're taking a different approach." "Instead of grabbing a hold of it, owning it and then gradually transitioning it back, we're telling them from the start, look, that is about you, this has to be your campaign plan," the general said at a conference organized by the Defense One website. One, the question is stupid because it ignores 2012 and 2013 when we walked away from Iraq without trying to maintain the institutions--including the armed forces--that could defend our gains from the first intervention. Instead, we stood aside as Iraq deteriorated. I mean, really. In 2003 we had to own the campaign because friendly forces were too weak to overthrow Saddam and defend the new government against Saddam's henchmen, jihadis, and Syrian and Iranian intervention to destabilize Iraq. Today we have the luxury of supporting Iraq because of what we did before 2012. And we must support the Iraqis at this significant level because of what we didn't do until late this year, which might have allowed Iraq to hold their ground with far less allied support. So Blindly Following is an Indicator of Global Leadership? If Australia's only problem in showcasing their global status as a rising power at the G20 summit in Brisbane is that they are "out of step" with the world's concern over climate change, then Australia will do just fine as a great power. I hadn't realized that at least some of Jonathan Gruber's comments about misleading the public about Obamacare's transfer of wealth from the young healthy to the old sick, relying on the public's stupidity, were made to college audiences. Cherish that fact. The audiences laughed away in their superiority, confident that others were the dumb ones who were fooled, notwithstanding that no Republicans in Congress voted for the law and so were not fooled. Yet the people in the audiences were the ones who were fooled since they are the young healthy people compelled to buy insurance to subsidize others. And they are fooled because that burden is temporarily disguised by forcing insurance companies to cover "children" on their parents' policies through age 26. Now that I think about it, it is rather funny. Yeah, It's. The. Law Lie. Also note that Gruber sided with the often derided (by Democrats) Republican observation that you can't really tax corporations since they pass that cost on to their customers. More importantly, he verifies that the law meant what it said--only people going through state exchanges for Obamacare qualify for subsidies, in order to push states to cooperate (as I've repeatedly said was obvious and a common tactic). Yeah, who is looking stupid now? Strategypage writes about how Ukrainian civilians are actively supporting their troops in battle by providing needed support services that their own military cannot handle. Civilians could do even more. The fighting in Ukraine found the Ukrainian Army lacking many combat support services. These were never abundant during the Soviet period because the Soviets did not believe in a lot of that. Not much money was spent on such things after Ukraine became independent in 1991. When the Russian aggression began in early 2014 many civilian organizations formed, often spontaneously, to provide needed support for Ukrainian troops sent to fight. Not content to merely Twitter the Czar, these civilians use social networks and the Internet to organize support to help their troops kill the czar's henchmen. We've seen similar things here, but since Ukrainians are close to the front, their help is more personal in nature, including delivering the support and even moving casualties. But what more could civilians do via the Internet to support their troops fighting the Russians? The Ukrainian army had no drones at the start of the war, while the rebels were using sophisticated Russian drone technology. “Back in summer, reconnaissance drones would have saved many, many lives,” says Andriy Horda, a volunteer scout with the Ukrainian army in the war zone. Now, Horda and others say, the troops are equipped with foreign-made drones and homegrown ones built in workshops across the country. It would be better to have a class of drone rather than homegrown ones, but Ukraine is making do until they can get that simplicity. In one room, a man stacked hand-sewn ballistic vests, peculiarities of the war in Ukraine, a nation with a rich tradition of handicrafts but a woefully underfunded military. Others at the site sort sleeping bags, miniature wood stoves and wool socks. Volunteers tackle even seemingly core military tasks. One group of civilian mechanics in the town of Zhovti Vody repairs trucks and armored vehicles, ancient heaps that break down regularly. As I've said before, I wouldn't go to war with Russia over Ukraine. Ukraine is not in NATO and it creates too much of a grey area about our actual red line to think about. Nor could we intervene effectively given the distance from the NATO infrastructure. But that doesn't mean we can't help put Ukraine's military back into working order (training and maintenance) and supply arms to fill gaps in their capabilities. And help with intelligence and advice, of course. Did the USSR worry about our reaction when they armed North Vietnam when we were at were with them?